Authorities say two adults and two children were found dead at the scene of a burning mansion near the New Jersey shore. Monmouth County prosecutor Christopher Gramiccioni says the fire continues to burn late Tuesday afternoon at the two-story home in Colts Neck. He says one body was found out front. He is not yet identifying the victims. He says the three others were severely burned inside the home, making it challenging to identify them. Firefighters responded to the fire around 1:30 p.m. Tuesday. 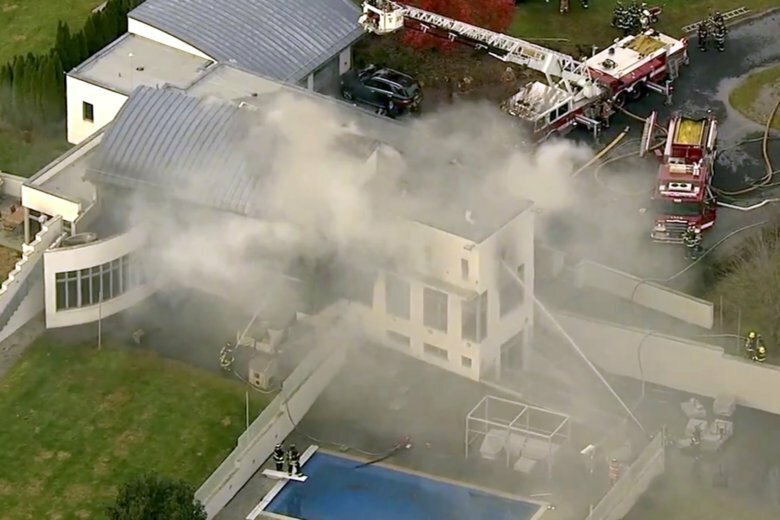 Multiple people have been found dead at the scene of a mansion fire near the New Jersey shore. Video shows smoke pouring from the roof of the two-story home in Colts Neck as firefighters battle the blaze. The house is surrounded by fields and has a swimming pool. The Monmouth County prosecutor’s office says there are multiple victims but hasn’t said how many.